[description] => While Maayavan was a thriller with Sundeep Kishan playing a cop in the story, Aruvi was a social drama which had debutante Aditi Balan in the lead role. Kollywood saw five films releasing the previous week which includes the much-appreciated films – Aruvi and Maayavan. Besides these two, there were few other small budget films that hit the theatres which have had a decent opening - Chennai 2 Singapore and Brahma.com. 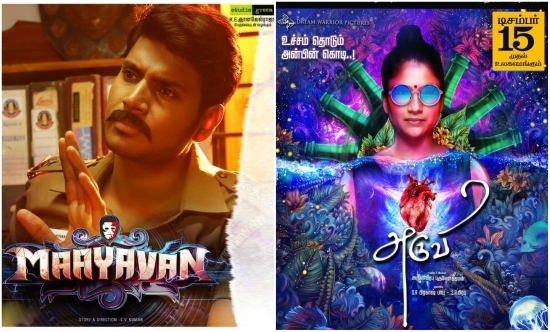 Out of the released films, Aruvi and Maayavan had the best run at the box office on the release day and over the weekends emerging the winners of the four releases. Maayavan starred Sundeep Kishan and Lavanya Tripathi in the lead roles and was directed by CV Kumar. Aruvi, directed by Arun Prabhu Purushothaman, had Lakshmi Gopalswamy, Aditi Balan and Shwetha Shekar in the lead roles. While Maayavan was a thriller with Sundeep Kishan playing a cop in the story, Aruvi was a social drama which had debutante Aditi Balan in the lead role. Both the films have been having a great run at the box office over the weekend with some decent numbers being clocked. 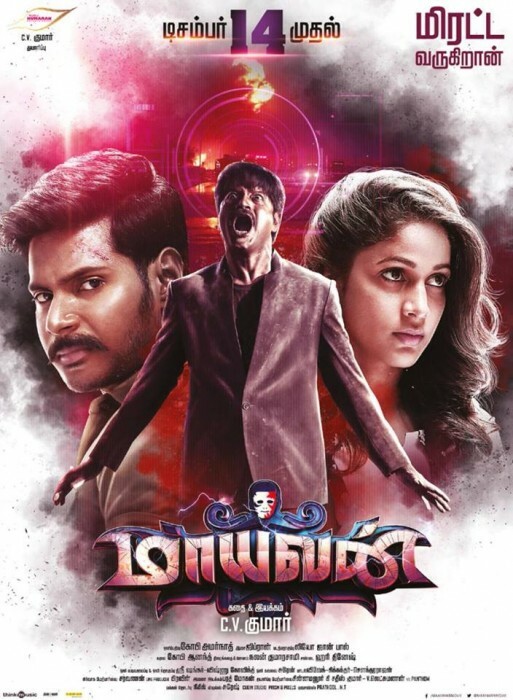 Maayavan, starring Sundeep Kishan and Lavanya Tripathi in lead roles, is directed by producer turned director CV Kumar and is going great runs across all centres in Tamil Nadu. The opening day saw the film earn a collection of INR 0.57 crores and after the weekend shows, the number rose to INR 0.80 crores with a healthy growth in gross numbers. Aruvi, on the other hand, saw a first-day collection of approximately INR 0.24 crores which amplified over the weekend with a positive word of mouth to approximately INR 0.73 crores as of Sunday. Trade experts are predicting that the film might go on to clock some unbelievable numbers in the second week given the kind of reviews the film has been receiving from all around. 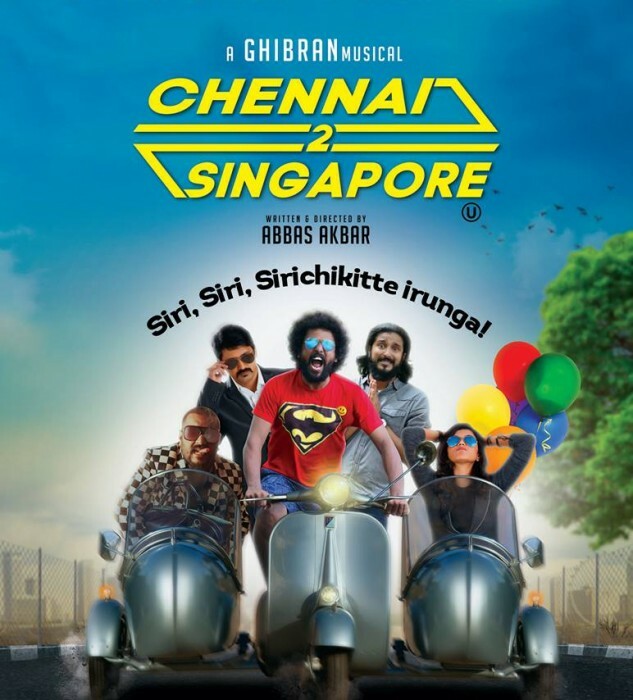 Music composer Ghibran turned to production with Chennai 2 Singapore and the film opened to average opening on day 1. The film has had an average run at the box office over the weekend too with the overall numbers since day 1 stand at approximately INR 0.12 crores as of Sunday. Makers of the film expect that the numbers may go up going forward given the kind of feedback the film has been getting from audiences. While Maayavan was a thriller with Sundeep Kishan playing a cop in the story, Aruvi was a social drama which had debutante Aditi Balan in the lead role. Kollywood saw five films releasing the previous week which includes the much-appreciated films – Aruvi and Maayavan. Besides these two, there were few other small budget films that hit the theatres which have had a decent opening – Chennai 2 Singapore and Brahma.com. Out of the released films, Aruvi and Maayavan had the best run at the box office on the release day and over the weekends emerging the winners of the four releases. Maayavan starred Sundeep Kishan and Lavanya Tripathi in the lead roles and was directed by CV Kumar. Aruvi, directed by Arun Prabhu Purushothaman, had Lakshmi Gopalswamy, Aditi Balan and Shwetha Shekar in the lead roles. While Maayavan was a thriller with Sundeep Kishan playing a cop in the story, Aruvi was a social drama which had debutante Aditi Balan in the lead role. Both the films have been having a great run at the box office over the weekend with some decent numbers being clocked.